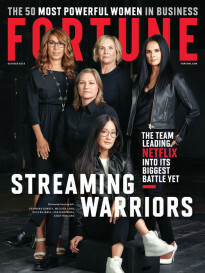 The hits just keep on coming—if by hits, you mean news about how online music companies are hemorrhaging money and are hanging on by their financial fingernails. Not long ago, Rdio went bankrupt and was eventually bought by Pandora, which has now reportedly put itself on the block. French music service Deezer was forced to call off an IPO because it was losing too much money. The latest bleak financial report comes from Rhapsody, one of the first large-scale music services launched in the U.S. more than 15 years ago, which is 43%-owned by RealNetworks. In its financial report for 2015, the company admitted that losses at the music service grew by almost 70% to $35 million. RealNetworks’ stake in the service is currently valued at zero. Revenues at Rhapsody, which is marketed under the Napster name outside the U.S., also increased to $200 million. But growing your revenue isn’t much good if you are losing money on every sale, which is more or less what the service is doing. And almost every other online music business is in the same boat. Like the industry to which it belongs, Rhapsody has had a somewhat tortured history. It was launched in 2001, acquired Listen.com one week before iTunes launched, and then got acquired by RealNetworks in 2003. MTV Networks invested $230 million in the company in 2007, acquired what was left of Napster, and then in 2013, the Russian-backed venture fund Columbus Nova Technology Partners invested and downsized the company dramatically. As Billboard magazine pointed out in a recent piece, Rhapsody makes about $65 in revenue for each of its three million subscribers, which isn’t bad. But once all of the company’s costs for licensing and other expenses are included, it loses about $12 on each one. Other larger music services aren’t much better. Spotify, which had four times as many subscribers as Rhapsody in 2014, lost an estimated $14 on every one. Watch: Apple pulls the plug on Beats Music. Deezer filed a prospectus for a planned IPO last year, which gave music industry watchers another glimpse of just how terrible a business music is these days: Despite revenue growth of more than 50%, the company said its losses had also ballooned to $30 million in 2014—in large part because of the cost of licensing music from the major record labels. Deezer eventually shelved its IPO plans. About the only way that most of the larger music services remain in business is by finding venture capital funds or larger technology and telecom companies that are willing to fund their losses. After dropping its IPO, Deezer announced a $110 million financing round from a group that included the telecom company Orange, and Spotify raised a massive round of more than half a billion dollars last summer to beef up its competitive war chest. For those who are too small or too unattractive to raise venture funding, the only real option is to be acquired. Rdio was a popular online radio business, but it simply couldn’t survive after years of punishing losses and filed for bankruptcy before being bought by Pandora. Recently, Pandora itself was reported to be looking for acquirers. The musician-backed service Tidal, meanwhile, has apparently had discussions with Samsung about an acquisition as it faces a lawsuit for not paying royalties. 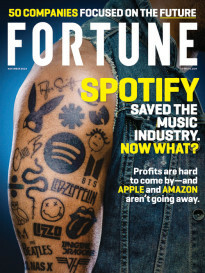 In the end, it looks as though—at least for now—the online music business only works if you are a massive, deep-pocketed entity like Google, Apple, or Amazon—or if you are a telecom company and you see music as a loss leader or an add-on to other services that actually make money.